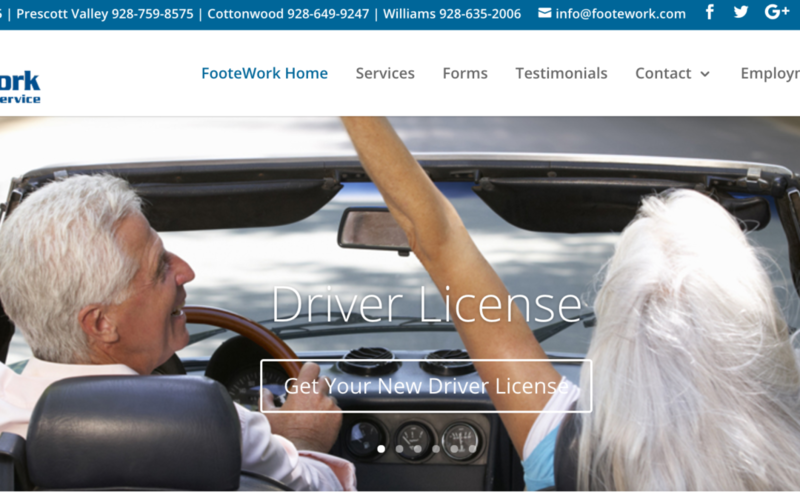 In January of 1998, Ken Foote created FooteWork Auto License and Title Service. 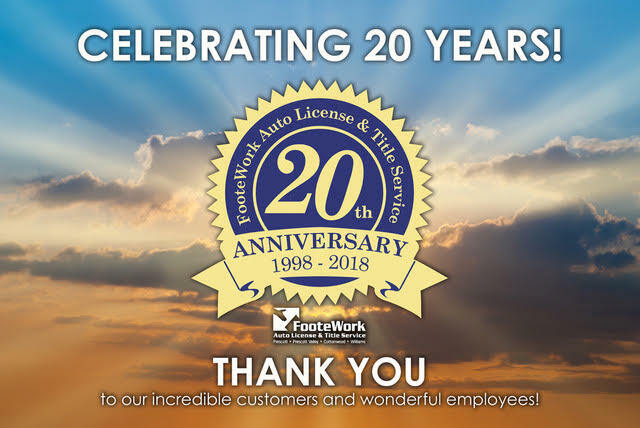 Today, FooteWork, Northern Arizona’s first authorized third party MVD, is celebrating 20 years in business, operating four MVD offices in Prescott, Prescott Valley, Cottonwood and Williams, AZ. and employing over 30 professionals.  Career opportunities and jobs at FooteWork Auto License and Title Service!